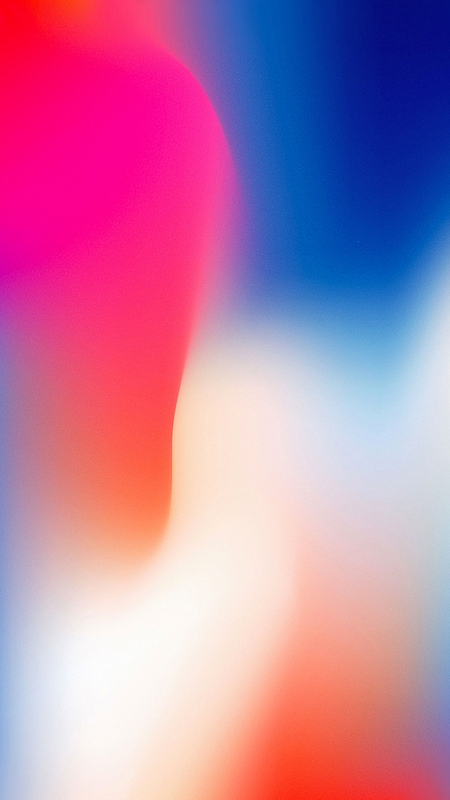 Apple’s latest iPhones (XR, XS, and XS Max) are the best iPhones Apple has ever made. They have better processing capabilities, more storage, and now a much larger display with the new Max model. In addition to the Lightning connector, they also retain the Qi wireless charging introduced in last year’s iPhones. Wireless charging allows users to charge their iPhones using a supported wireless charging dock or mat without the hassle of cables. However, despite this ease-of-use, many users have experienced waking up to a phone that didn’t charge in the middle of the night because it wasn’t properly aligned with the charging mat. 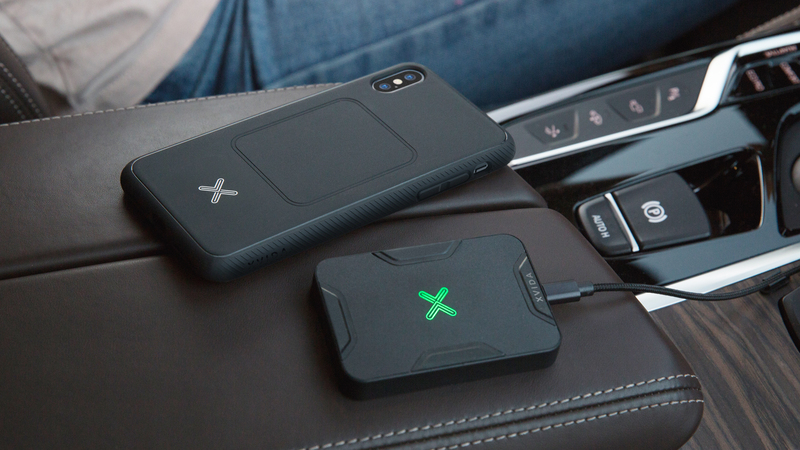 In 2016, a company called XVIDA introduced the all-new XVIDA Magnetic System with Fast Qi Wireless Charging addressing the drawbacks a user can experience with a wireless charging system. As we know it today, XVIDA changed the game with their unique charging system based on Apple’s existing hardware designs. They incorporate aluminum, high-quality plastics, LEDs, and rubber in their products to give them a premium, high-class feel. The system solves traditional wireless charging issues using a magnetic case (or card) to align your iPhone or Android phone to the magnetic charger. This innovative design makes sure your phone is always ready to go when you are. 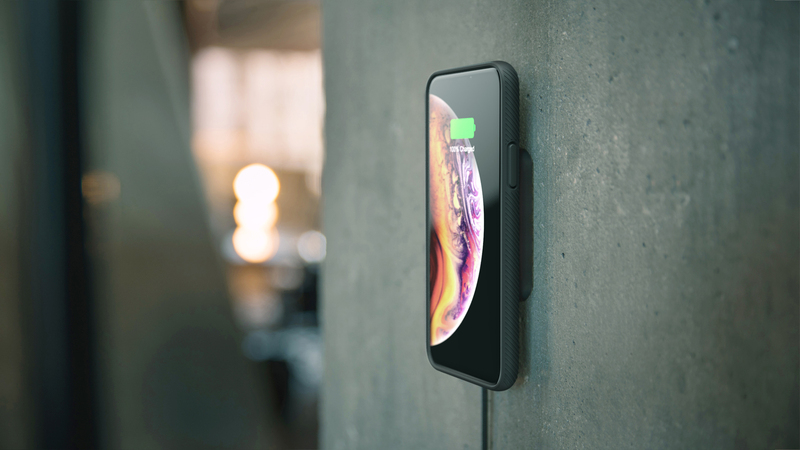 With the introduction of the iPhone XS and XS Max (and the lower-priced iPhone XR), XVIDA is releasing three new cases into the wild to allow customers to continue charging their new iPhones using their existing XVIDA hardware. The new cases have been updated with textured sides to improve grip and add style. They come in black and include the same magnetic back found in previous XVIDA cases, making them backwards compatible with existing XVIDA POWER2 docks. To further improve compatibility across as many devices as possible, XVIDA offers magnetic cases in black for many different smartphone models. 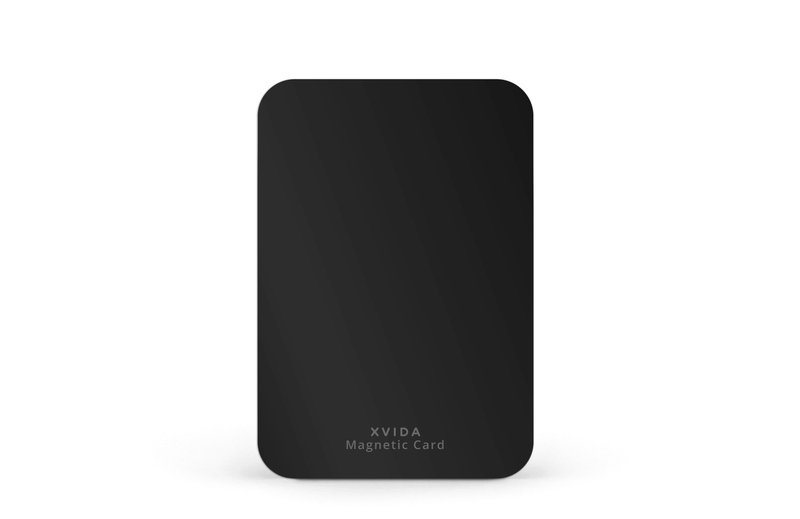 But, for customers looking to use their device without the case (or using a third-party case), XVIDA recently introduced the Universal Magnetic Card for Qi-enabled Smartphones. It’s extremely thin and about the size of a credit card. The Universal Magnetic Card can be applied to the back of a smartphone or directly to the back of a case, using the included adhesive strips. Four strong magnets in the card allow users to use their device with any of the XVIDA POWER2 docks. Most cases will work the magnetic card. Keep in mind, XVIDA cautions thicker cases can impede the magnetic grip; of course, the card can be attached to the back of the case in such scenarios. 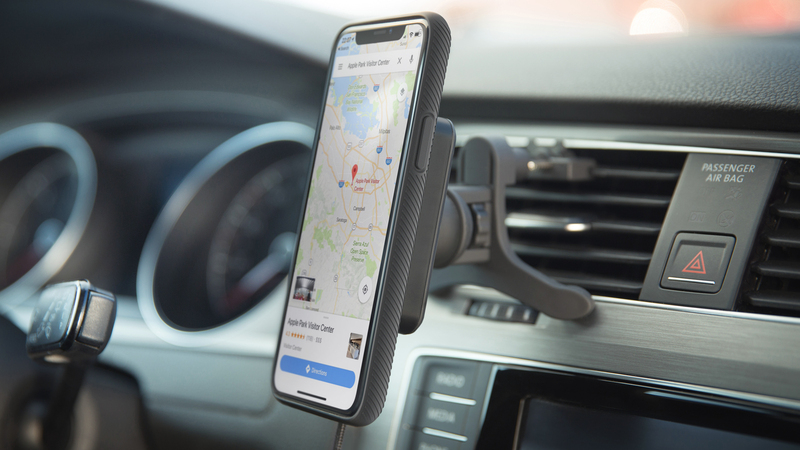 In addition to new cases, XVIDA recently updated many of its existing products (including the Magnetic Mountable Pad, Suction and Car Vent Mounts, and CD-Slot Mount) to include rubberized corners designed to improve grip. 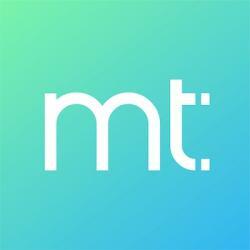 This subtle, but welcome change makes an already great product even better. XVIDA also offers tempered glass screen protectors for many models of iPhones and Android phones starting at just $10. Adhesive cable management clips are also available to help customers tame cords and keep them out of the way. Additionally, customers can find many extras and replacements, such as adhesive metal pads, suction cup mount replacement pads, power adapters, and cables on XVIDA’s website. XVIDA’s unique and intuitive approach to charging is what makes it the ideal solution for your wireless charging needs. Whether you’re at home, in your car, or at the office, XVIDA offers products that improve your smartphone experience. 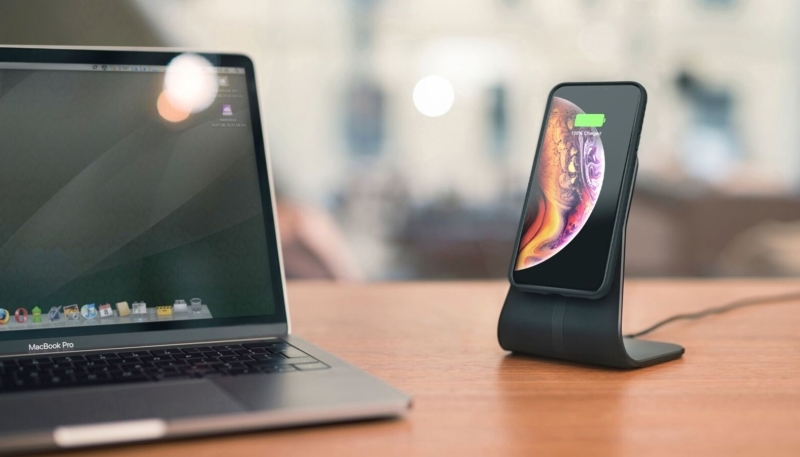 The Magnetic Qi Wireless Charging Desk Stand is an aluminum stand that closely resembles Apple’s iMac. Gadgets Wizard called it “truly a work of art.” Praising its “premium design and excellent functionality.” Its unique shape allows users to view and use their iPhone on a desktop surface as it charges. The Magnetic Qi Wireless Charging Mountable Pad is similar to a traditional wireless charging mat. Unlike a traditional charging mat, it can be magnetically mounted to most surfaces using an adhesive metal pad. The mat can be removed from the metal easily allowing it to be used as a normal Qi-enabled charger or on-the-go. The XVIDA experience starts right from the box, which has a great aesthetic appeal and is soft to the touch. Inside the box you’ll find the products have been meticulously arranged, making unboxing a great experience for a simple charging solution. The quality and attention to detail extend to the products themselves which are made of high-quality material and modeled after Apple’s design language. The cases are shock absorbent and have a soft interior to avoid scratching your pricey smartphone. It’s a good looking case that, as other reviewers have mentioned, only comes in black. Even XVIDA’s adhesive seems of a high standard in the sense that it actually works like it’s supposed to. When mounted correctly, the metal pad used to secure the charging pad will stay in place indefinitely. And the sticky base of the desk stand feels somewhat unmovable when stuck to a desktop or tabletop. All chargers support fast charging and include a cable and power adapter. XVIDA’s newest cases for iPhone XS and XS Max are expected to ship at the end of October, while the case for iPhone XR will be available in November. Customers can pre-order now at XVIDA.com. Cases for the iPhone XR and XS are $39, while the larger iPhone XS Max case will cost $45. The XVIDA POWER2 charging devices vary in price, with the Magnetic Qi Wireless Charging Mountable Pad at $59 and the Desk Stand at $79. The Desk Stand is available in both black and silver aluminum. All three car mounts (CD-Slot, Suction, and Vent) are $69. Finally, XVIDA offers free worldwide shipping on orders of $120 or more, and standard flat rates of just $7 for order under the threshold.